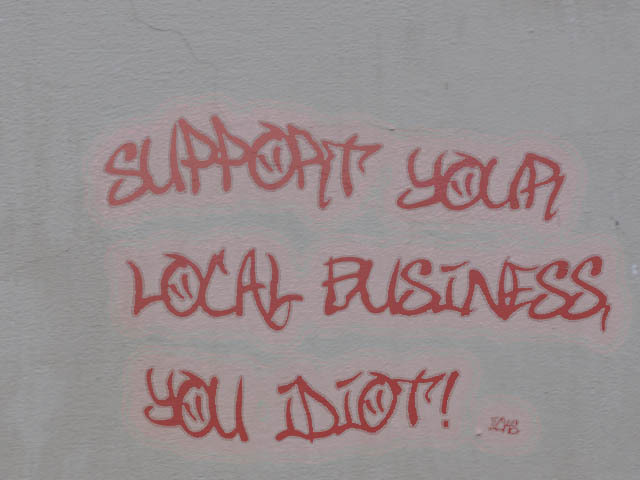 cultural submission: Graffiti: Support your local business, you idiot! Graffiti: Support your local business, you idiot! Suche graffitikünstler, der den spruch verewigt :).